Right now I'm listening to David Bazan's Alone at the Microphone doco. trying to make a start on unpacking the mess in my head. It's been two terms since I last wrote and sorted my thinking into words. A lot has happened. I feel like this is confession! Coming back from @ulearn13 I was completely inspired to create a 'learning focused', 'learner centered' curriculum in which children knew about their learning; their goals; where to next; how to get there. I quickly realised that this had been the missing link in my practice. Whether my students got this straight away or not, the end result was exciting - they had become self-managing, self-directed learners. I was ready to do more! The next thing I know an email informed me that we were opening our own MLE for 2014. Yuss!! The holidays rolled around quickly and for the first time ever I couldn't begin any planning! (Because there were three others to consider!). 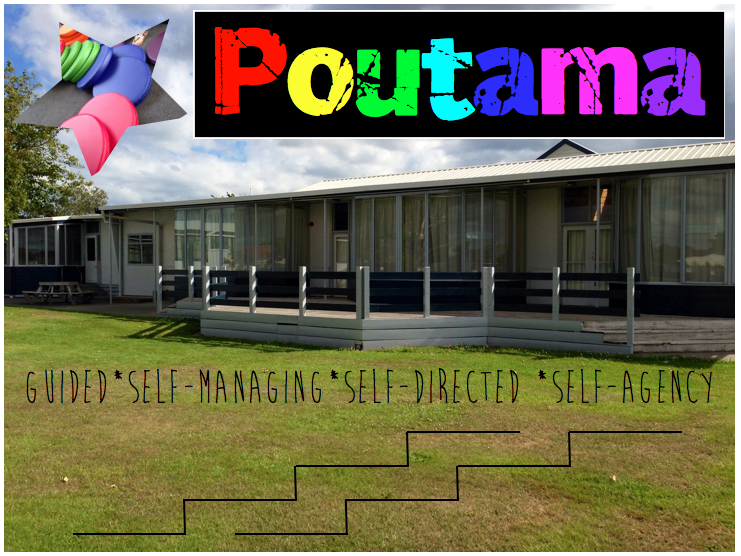 Our MLE began in 'Poutama' with 4 amazing teachers. Colourful furniture filled the space, walls were removed and others were painted. 120 students, 120 devices, 4.7 teachers, 1 teacher aide, 4 x music release times, 4 x PE times, 4 spaces, 4 breakout rooms, reading groups, maths groups, writing groups, workshops, timetables... Where DOES one start? I still can't believe that we got it going! directed, guided, self-managing, self-directed and self-agency. 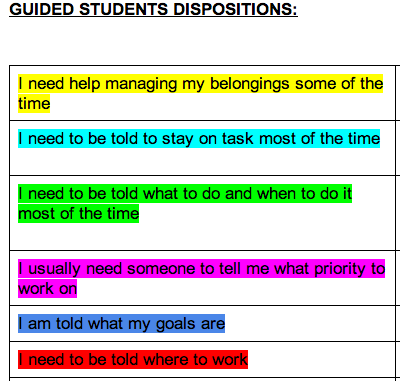 Self-directed learners have to prove that they are able to work independently in spaces outside of the classroom. Their quality of work is higher and more in-depth. They are expected to use strategies to solve problems or to be solution seekers. Whereas directed or guided learners have less choice over where they learn or what they learn. The quality or depth of a completed task is lower. 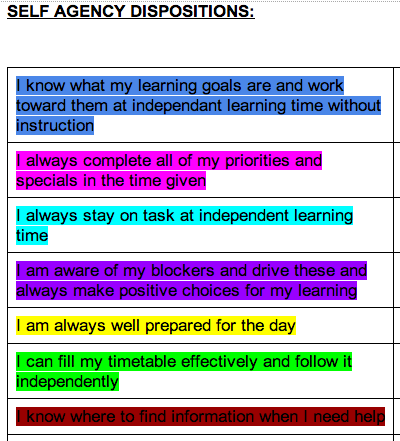 However, the basics are still covered (correct spelling, punctuation, WALT, success criteria, reflection, peer assessment). They require more adult support in their learning. We have organised our timetable so that there is always a "roving" teacher. We also have "conference" time where we can individually work with individuals or a small group for assessment purposes. 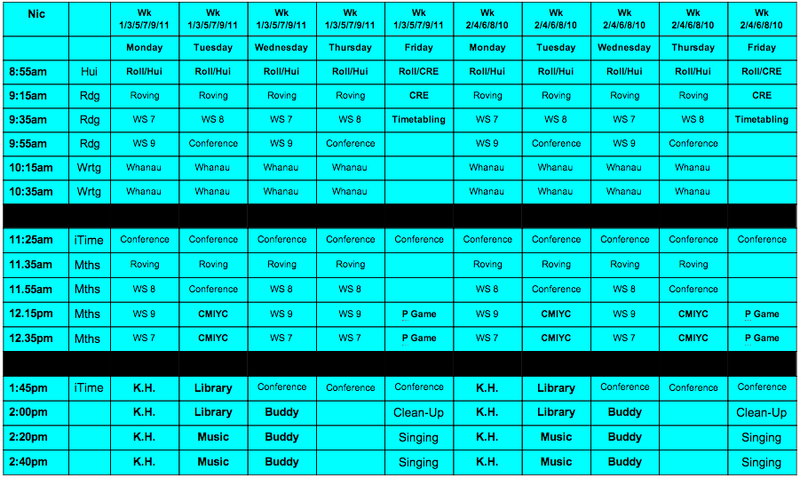 This is my timetable by fortnight (I'm colour coded blue). There has been some resistance from the community; some parents are concerned for their children's well-being. We have been very open to parents coming and sitting during the day. If you can, have a teacher sit with them and "talk them through" what they are seeing - it's a lot different to how they were taught! We are slowly winning some families over but on the whole, everyone else can see the huge potential that MLE's have to offer! I would like there to be more time for student-initiated inquiry. This should be our level up - it takes the focus off the teacher and puts it on the learner and the learning. Make learning fun and engaging and relevant. Great! Now I can have a break! I really enjoyed reading this Nic, It sounds Like your school is heading in a positive direction. Kei runga noa atu! I enjoyed reading this Nic. You said it looks like organised chaos - I completely understand it! As you know we have a similar structure, but we don't have a roving teacher. 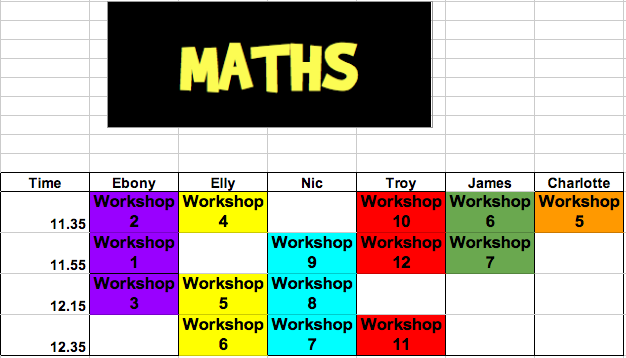 Instead we have 1-1 conference slots, colour coded for teacher set conferences or conferences that students book in. We have found that having learning mentors at the start of this year has really helped out year 7 and new students to the school settle in. IMPACT has really improved this year. (Every Thursday is IMPACT, combined with tech at the college, based on students interests/passions/project based, making an IMPACT on self or community). Thanks for sharing, a great read. Sounds like you have made good progress. Well done!